Carousell doesn’t have to be Carouhell if you follow these handy tips for both sellers and buyers. Add relevant tags to your item description so that potential buyers can find your listing easily. For instance, if you’re selling a Canon camera, you might want to add tags like #canon #camera #modelname #modelcolour. Don’t tag unrelated terms like #hotgirls #prettyselfies just to get more clicks, because well, it’s downright annoying. If you’re selling something related to an upcoming event or festive season, remember to add the relevant tags too. 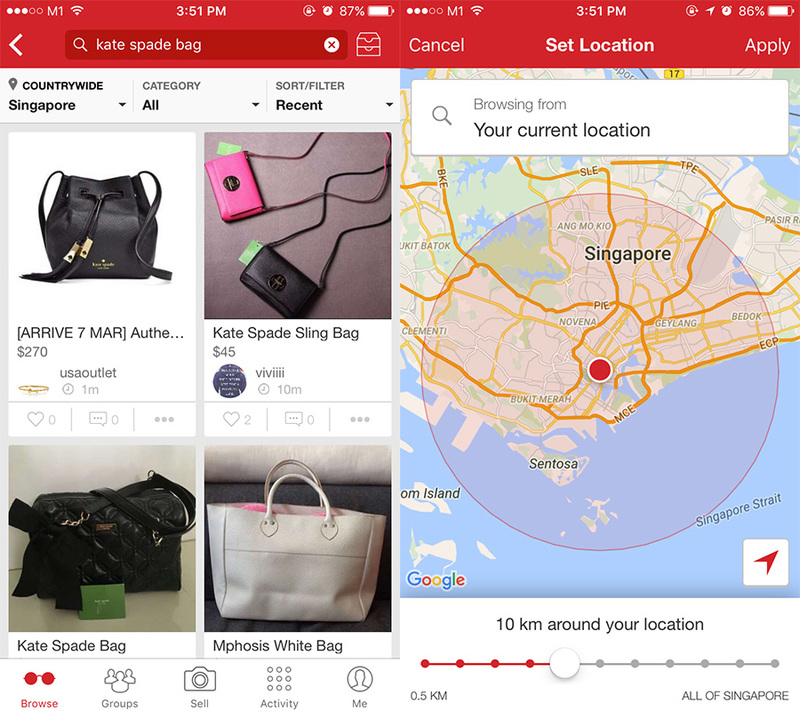 The Carousell team might chance upon your listing and feature it in their curated selection of items. 2. Be specific and include photos of the actual item. When it comes to Carousell, you really don’t want an unhappy buyer on your hands because…well, things can get pretty nasty. Be specific in your item description, especially about the condition of the item. Also include well-lit photos of the item from different angles if possible. Sure, it may be more troublesome but it will prevent any misunderstandings. Don’t forget to include the measurements of your item as well. Auth/Authentic = means it’s not some Taobao knockoff okay?? 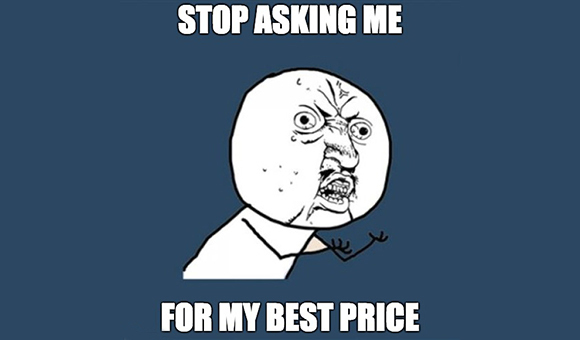 No low ballers = cheapskates of the world, go away. No trades = stop asking if you can trade your dodgy used item with my brand new item already. 3. Post your listing during peak periods. When you search for an item, Carousell lists them according to the time they were posted (you can set it to list by Popularity, Price or Location as well), so posting during peak periods will help you get more attention from potential buyers. Try posting during the golden hours, such as lunchtime, after work between 6pm to 7pm (shopping makes the commute home much better k), public holidays and weekend afternoons. Of course, it also depends on who your potential customers are (i.e. students, OLs, creepy old men) so think about when they’d most likely be shopping online and post your listing then. 4. Be a model seller. Have well-lit, good quality photos. Be specific and honest in your item description. Don’t sell illegal items (obviously). Try to get positive feedback from buyers. It helps if you leave feedback on them too. 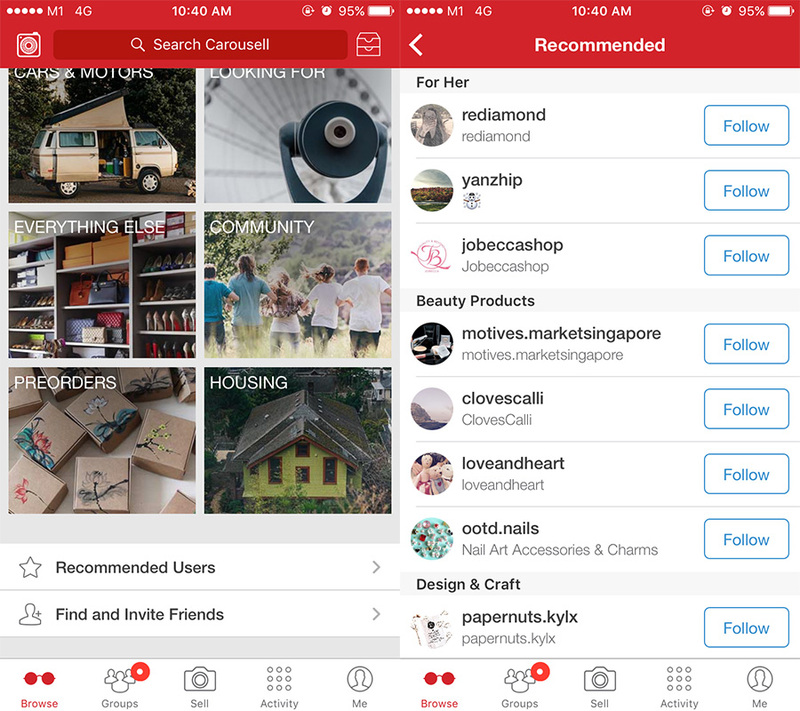 To view the list of Recommended Users on Carousell, scroll down to the bottom of the page. Recommended Users are listed by category. 5. Always get the buyer to make a formal offer before transacting with them. This is VERY important, because Carousell only lets you leave feedback for a buyer (and vice versa) when you have a formal offer with the person. Buyers are generally more committed once you have a formal offer, since feedback can’t be altered or erased. Also, the offer confirms the price that you both agreed on, so there won’t be any misunderstandings. Get the buyer to make a formal offer through the app before agreeing to meet up. 6. Join a Group that is relevant to your item. 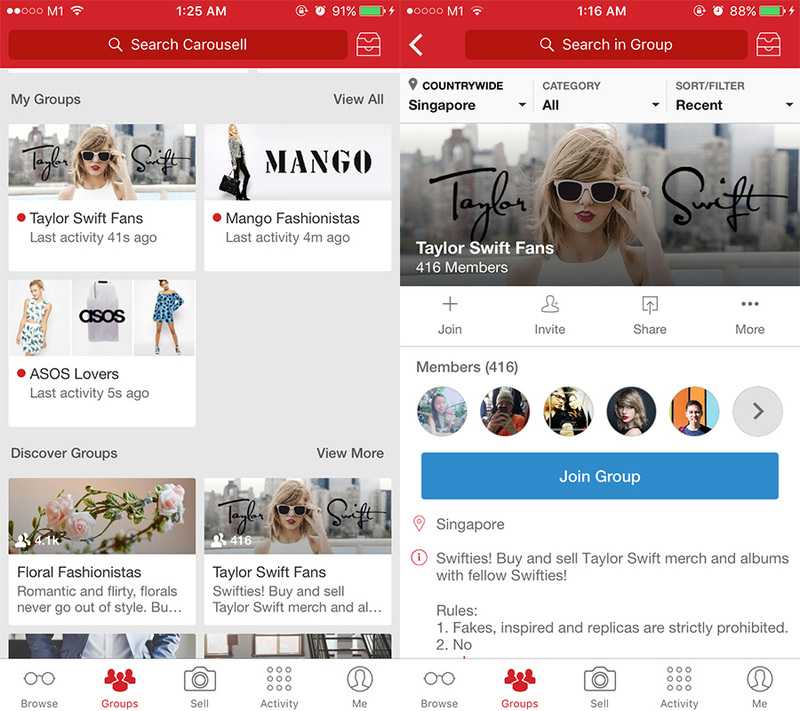 Groups is a feature on Carousell which lets you list an item in a specific interest group, so that you can reach out to a more targeted audience. For instance, if you’re selling Taylor Swift merchandise, you can join the Taylor Swift Fans group and list your item there. 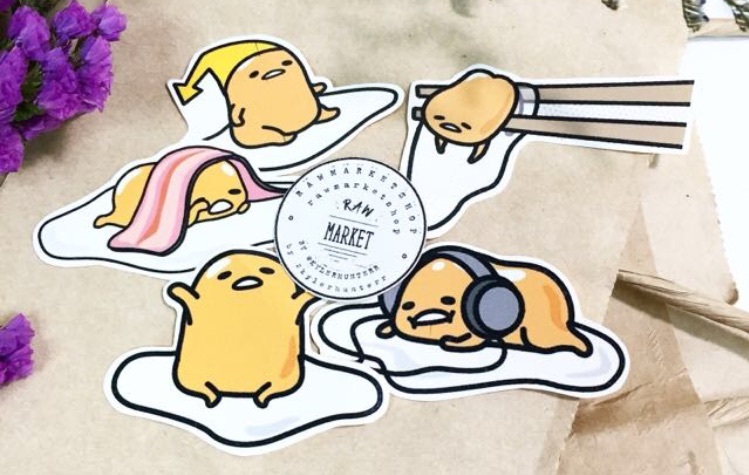 There are groups for everything from ASOS Lovers to Marvel Toy Collectors, and most of them are open to everyone. 7. Share your item listing on social media. Want to reach out to more people? 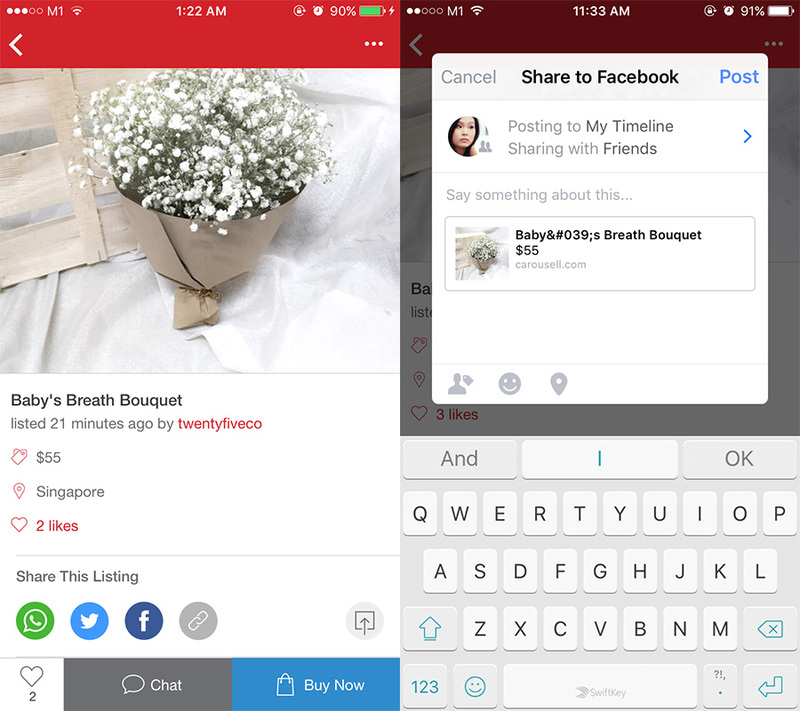 Share your item listings on your social media accounts, such as Facebook, Twitter and WhatsApp. You can also copy the link to the item listing, in case you want to forward it to someone. Share your listing on your social media accounts to reach out to more people. Spot a fake item or scam post? Do your civic duty and report the listing, so buyers won’t get tricked by it. Watch out dodgy people, the Carousell popo gonna come getchuuu. 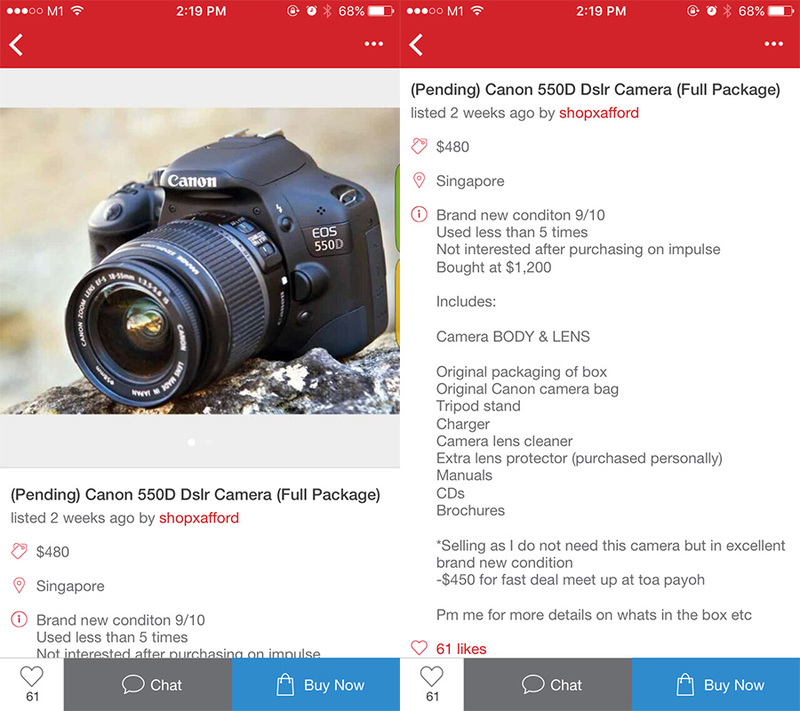 Spot any dodgy posts on Carousell? 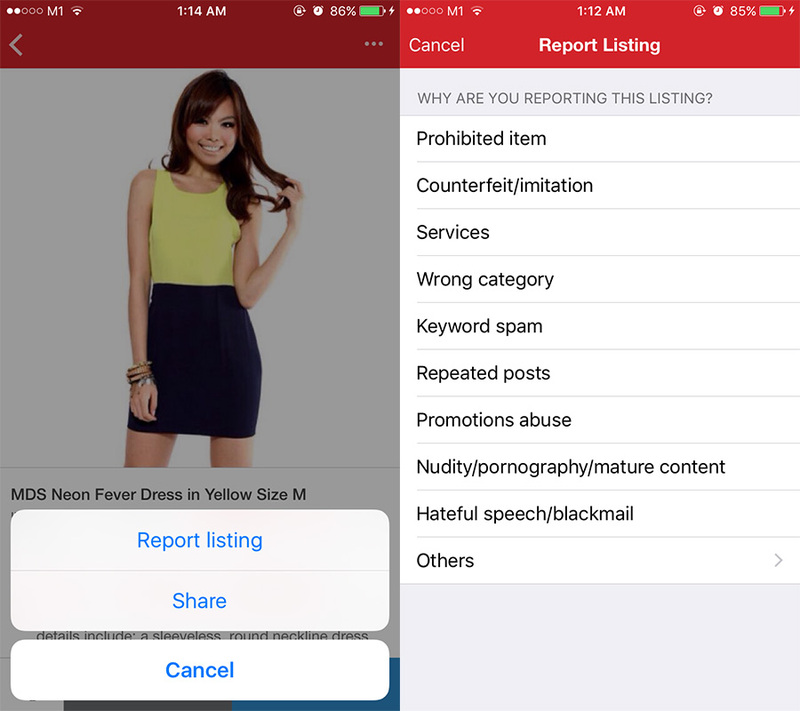 Report the listing by clicking on the ‘…’ icon at the top right of the page. Filtering listings by location will make your life much easier, especially when it comes to meet ups or trades. After entering your search term, click on the Your Location tab at the top left of the screen. From there, you’ll be able to browse listings that have stated a meet up/pick up location close to your current location. Under the filters section at the top of the page, click ‘Countrywide’ and select ‘Browse from current location’. Your location settings for the Carousell app need to be enabled though. As mentioned above, the Groups feature lets people list items based on a specific interest. There are groups for fashion brands, hobbies and even specific fashion styles like floral prints or boho-chic. Joining a Group makes it easier to check out the newest listings relevant to your interests. If you’re a student, you can also join your School’s Group, which is convenient if you prefer to do meet-ups in school. 3. Be safe and smart. This may seem like common sense, but there are far too many buyers out there who have well, no sense at all. Besides making a formal transaction with the seller (so you can leave feedback), confirm the meet up details a few hours in advance. Avoid giving the seller your mobile number (just insist on communicating via the Chat function on Carousell) because you never know what stranger danger lurks out there. Also, always meet in a public place like an MRT station or shopping mall. If the seller sounds even remotely shady (“can meet somewhere wif no cctv?”), just cancel the deal. Safety first ladies, safety first. If you want to be extra careful, Google the seller’s username or contact number in case they have been blacklisted or blogged about. 4. 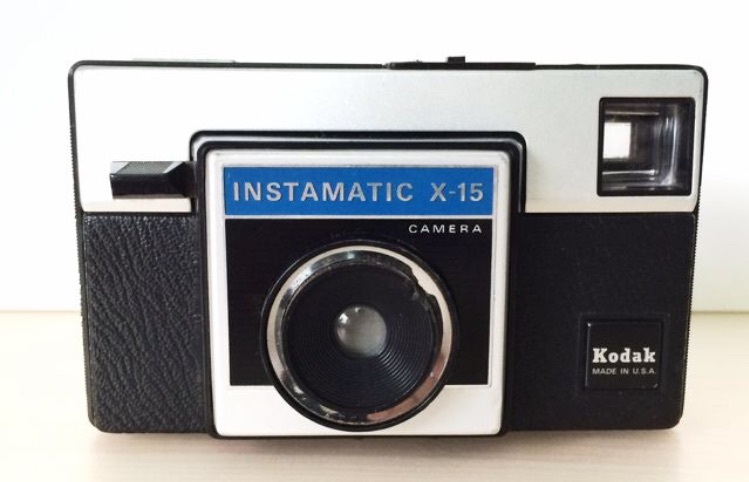 Read the seller’s profile. There’s nothing more annoying then getting a message that says “Trade?” when your profile specifically states ‘NO TRADES’. 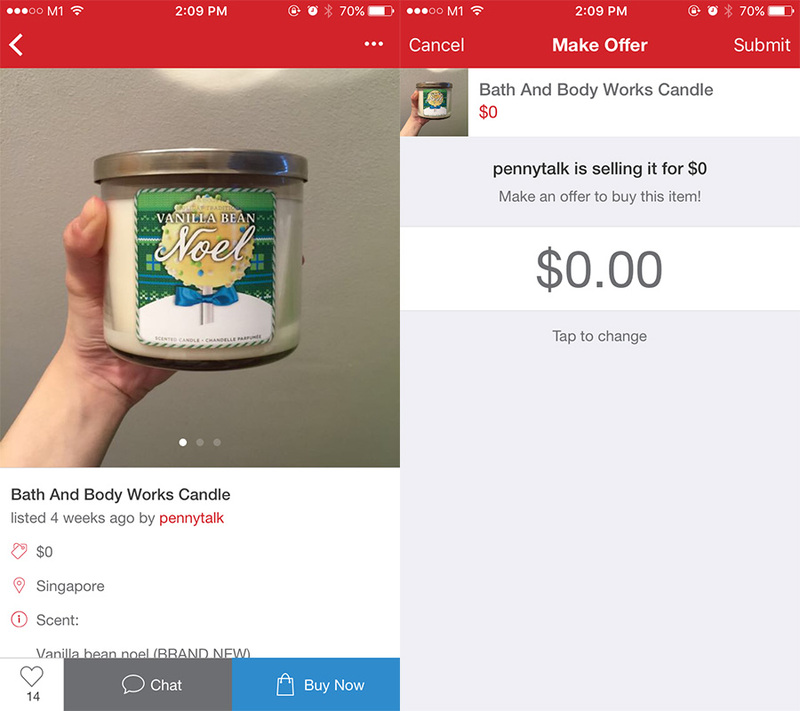 Carousell buyers of the world, take this as a public service announcement – read the seller’s profile before asking dumb questions. If a seller has already stated ‘no trades or negotiations’, I hardly think that she’ll change her mind just because you bombard her with “Nego?” messages. If you’re pre-ordering an item with a seller, be sure to check the estimated waiting time before following up about the collection date. 5. 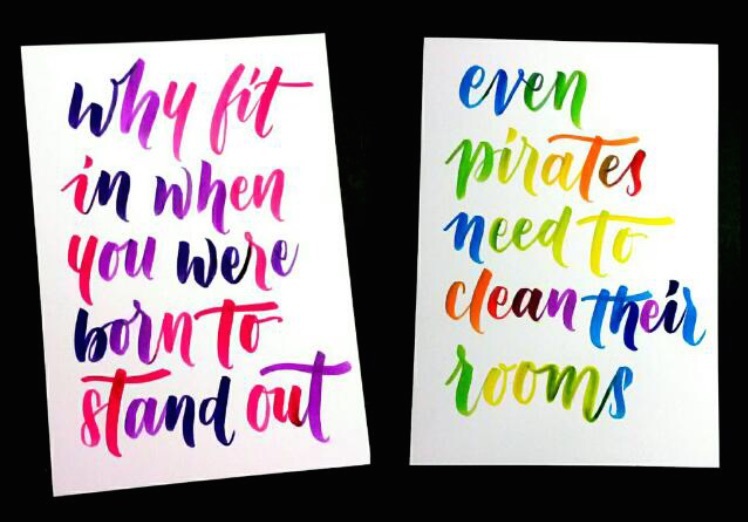 Buy more from the same seller. If you’re looking for electronics, certain sellers offer bundle deals with better prices. For instance, if you want to buy a Canon DSLR kit, look for sellers that offer packages (and freebies) instead of buying different components from separate sellers. Some sellers also offer a discount if you purchase more than one item from them. Just be polite about it and who knows, you just might get a good bargain. Hi, I had a problem after much product had been publish out. But today, I got error to post a product. After I submit the product. A pop up message said that my listing is too many tag. All my product didn’t use any tag at all. So why this happen. I need help. That happened to me. You probably used a word multiple times within the listing. Every word you put in the title, description etc is concidered a “tag” even if you dont put # in it. @Tiong yee ping – Your listing may be too long of have repeated description. This happens when you try copy and paste description from Lazada for example. What does fast deal mean ? To Tiong yee ping: you can just ignore the popup message and still continue to upload your listing anyway. It’s just a warning that your post has too many tags, that’s all. Do check out my carousell – leamour if you’d like to preorder any gifts items for your friends or loved ones! Instocks for Mini Fling Joystick for Mobile Legends / King of Glory etc games too! hello! just asking, is there a way i can remove a feedback i wrote for someone else on carousell? Hi just wondering if buying things from online and selling it on carousell actually legal? Kou, if you buy legal items, then yes, selling them on Carousell is legal. 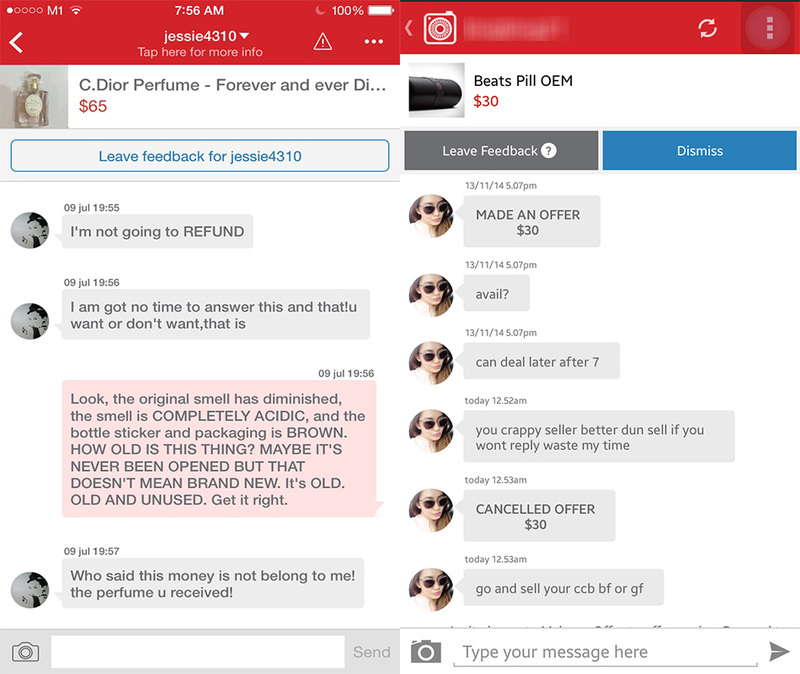 hi do you know anyway that i can print out the chat message because I’m going to report a case to the police that someone sold me a fake bag and claimed is authentic. У нас вы можете купить КАНАЛИЗАЦИОННЫЕ ДРОБИЛКИ, Резервуары — отстойники, Мешалка коническая, Мешочные фильтры, Технические колодцы, Ершовая загрузка, Очистка промышленных сточных вод (молоко, пиво, спирт, животноводство, прачки т.д. ), ОДЪЕМНЫЕ УСТРОЙСТВА И МЕТАЛЛОКОНСТРУКЦИИ Металлоконструкции фермы, ВОДООЧИСТНОЕ ОБОРУДОВАНИЕ Скиммеры для очистки жидкости от нефтепродуктов, масел, жиров, ПОДЪЕМНЫЕ УСТРОЙСТВА И МЕТАЛЛОКОНСТРУКЦИИ Подъемники, ОЧИСТКА ЛИВНЕВЫХ СТОЧНЫХ ВОД Песколовки тангенциальные, НАСОСНОЕ И КОМПРЕССОРНОЕ ОБОРУДОВАНИЕ (Грунфос, КСБ, Вило, КИТ, Взлёт, ТВП) Компрессор роторно-пластинчатый, ВОДОПОДГОТОВКУ Установки фильтрации и предподготовки, а также все для автомойки Система очистки воды для автомоек. У нас вы найдете Строительство ЛОС, а также блоки биологической загрузки ббз, мы можем произвести Монтаж насоса и настройка автоматики. Бурение артезианских скважин, Инженерные изыскания, Монтаж водоснабжения. Эта корпорация Предприниматель без образования юридического лица СЛКСВ Махачкала делает современным способом видеодиагностикуинженерных систем, сетей хоз. бытовых, технологической и ливневой канализации, водостоков, водопроводов, водозаборных скважи, КНС, инженерных систем, ливневой канализации и так далее. Телеинспекция труб осуществляется камерой, которая двигается по трубам и подает вид на монитор и одновременно делается видеозапись труб. Данная диагностика может дать возможность определить состояние стыков и стенок труб, области расположения свищей, щелей и других недостатков, выявить засоры и посторонние элементы, несанкционированные врезки и т.д. Телеинспекция может быть использована и при приёме труб впоследствии выполнения строительных работ, ремонтных работ. Большим плюсом системы видеоинспекции несомненно является ее мобильность, легкость доступа к трубам, а кроме того возможность получать изображение увидеть изнутри часть труб за счет видео изображения.